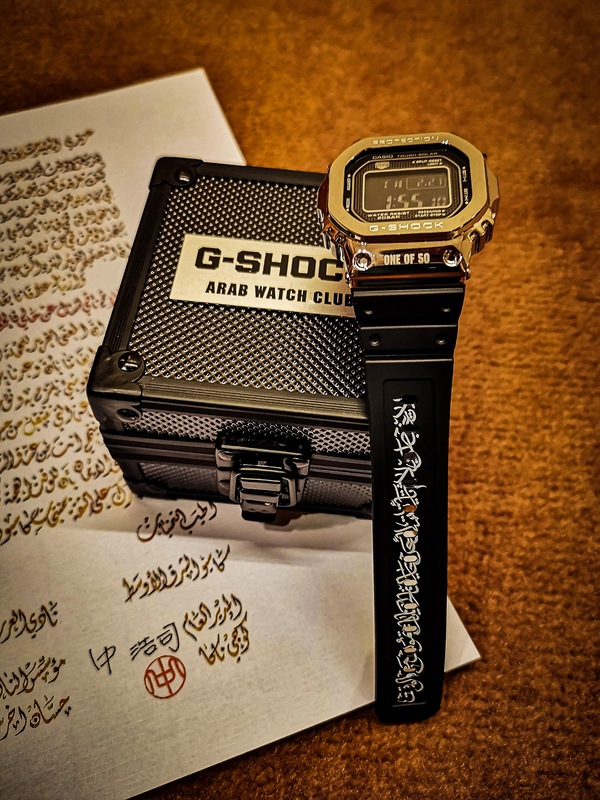 In June 2018, I set up my first meeting with the Gshock team in Dubai , discussing the possibility of breaking all rules and creating a one off edition of a small run that will be only sold to the Arab Watch Club members. 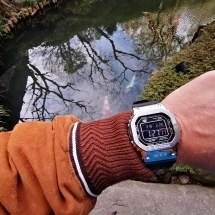 The idea was so well taken by the team and with much enthusiasm, we have started together developing the first project of its kind where we took an original 35th anniversary GMW-B5000D-1JF and decided to re-customise it to have an AWC feel. 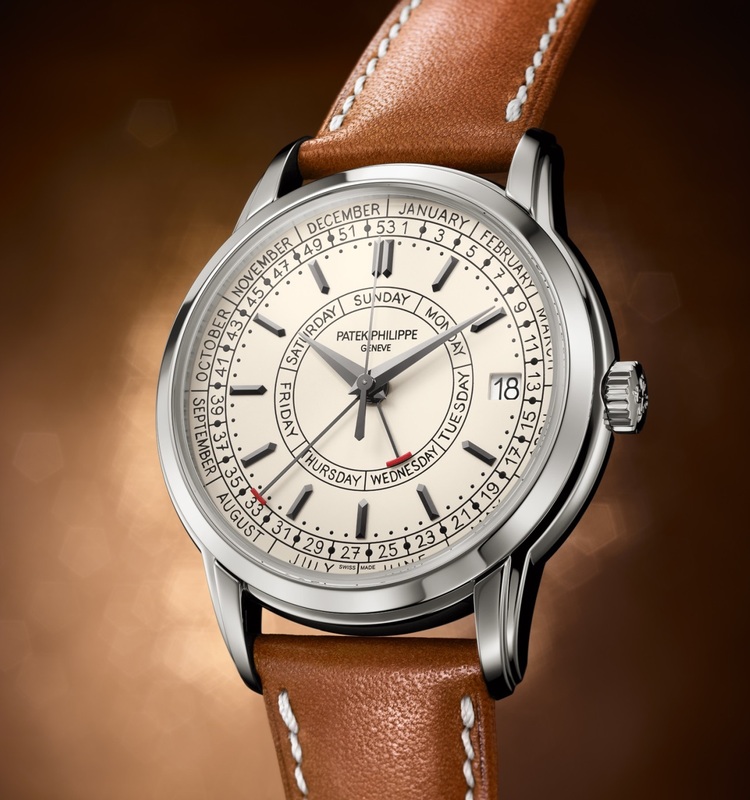 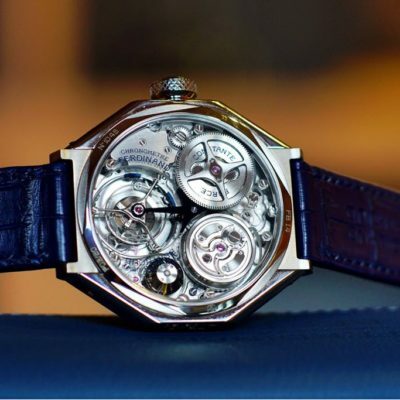 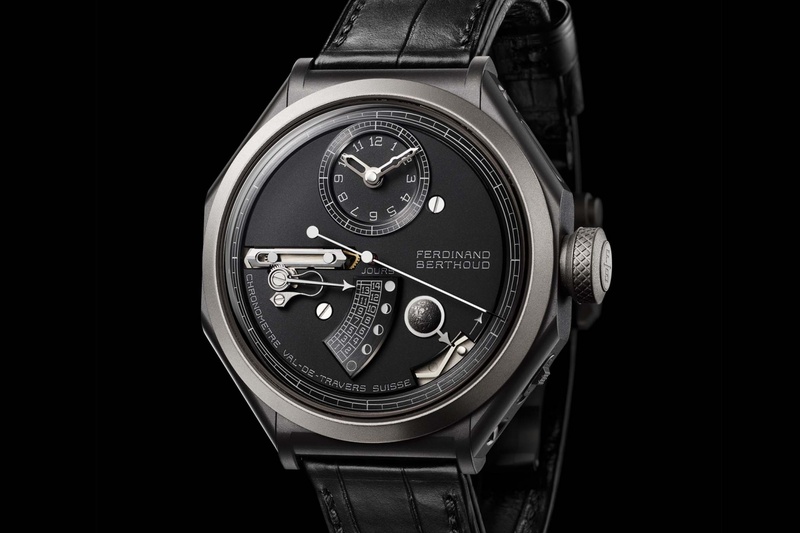 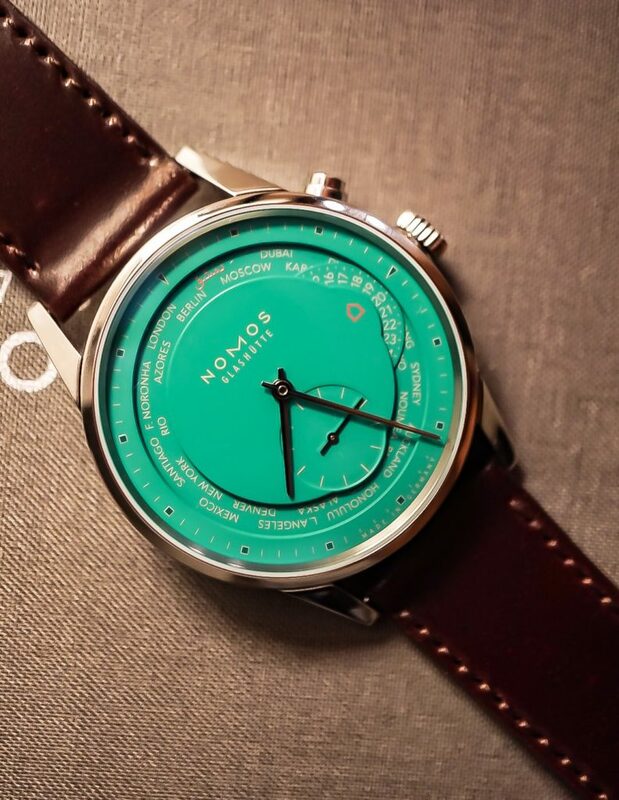 I have commissioned a Saudi calligrapher to write for us a sentence in his own unique way ,which we will later on use as the main design for this edition – that sentence is printed on the rubber dial of each watch saying ” لا تغيب عني طويلاً ثم تسأل عني فالحكايات تموت مع الوقت “. 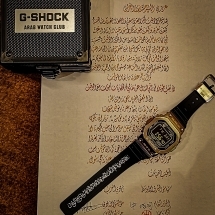 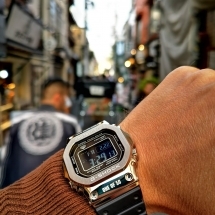 You will notice also that on the bezel of the watch we have engraved on the top our club name and on the bottom “One of 50”.. that engraving was one of the most challenging task of the project as all of these Gshock models have Bluetooth in them and it is very important to keep it intact from any engraving work. 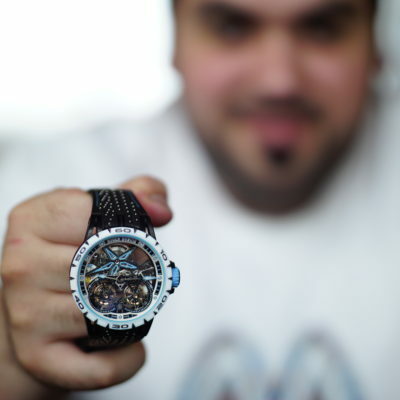 Which required us to dismantle the cases and bezels from the original watches , laser engrave them and then reassemble the watches. 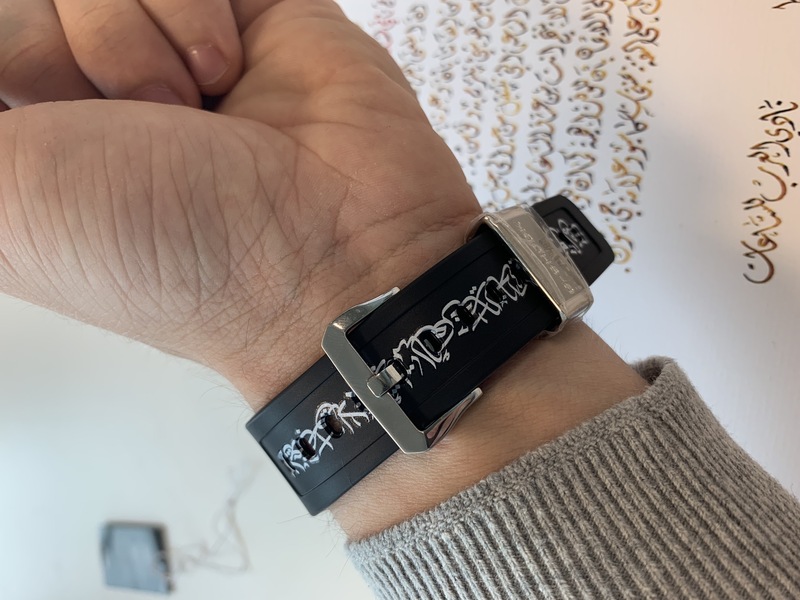 The second tricky element of the project was the calligraphy printing on the rubber strap. 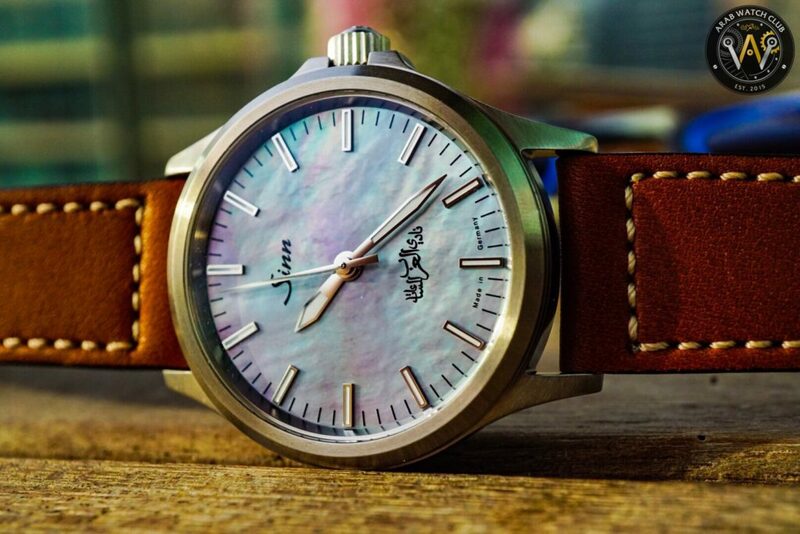 As this was the first time to explore such design, the team had to commission several suppliers to test which output is up to the required standards and will not fade away after a few washes or dips in the sea!!! 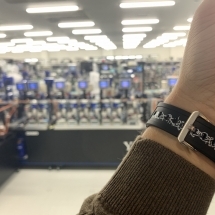 Luckily we were able to get the right suppliers on time before our launch in Tokyo… Ahh well you are wondering what I am talking about!!! 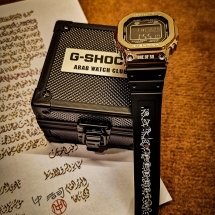 This is the first of several collaborations we are launching with Gshock Middle East – our next project is a Charity project that remains one of our yearly pillars in the club – as you know we started last year with a collaboration with Zayed foundation in Abudhabi, where we designed and sold 50 special edition watches to the public and donated the proceeds to the charity foundation. 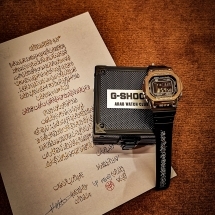 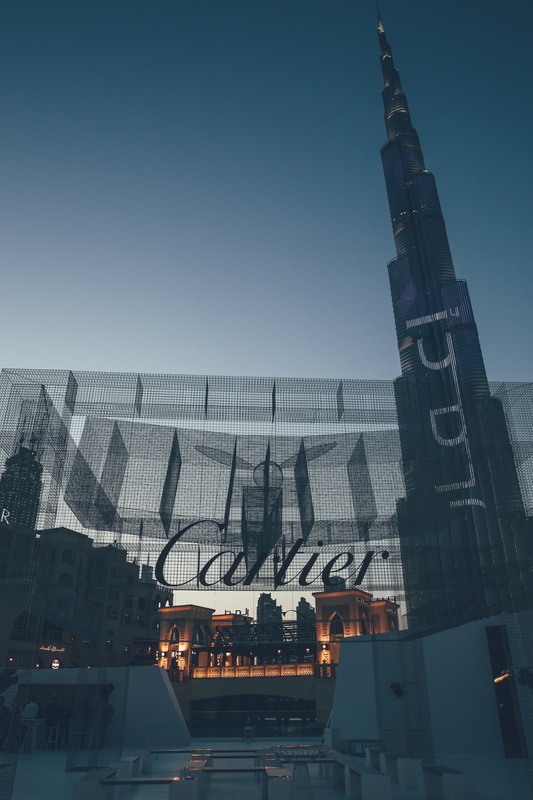 This year , we will go even bigger and create a larger special edition watch in collaboration with Gshock with the same concept of raising awareness and funds to a local charity in Dubai. 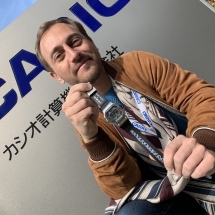 Stay tuned as there is a lot to share with you on that front and also don’t miss out on the AWC experience in Tokyo with Casio team.